The FDA is finally stepping up to remove trans fat from a list of chemicals known as GRAS – or generally recognized as safe. This morning, the Food and Drug Administration opened up a 60-day public call for comments, scientific data, and other information they can use to help guide their decision to issue an all-out ban on trans fat, also known as partially hydrogenated oil. “Based on new scientific evidence and the findings of expert scientific panels, the [FDA] has tentatively determined that partially hydrogenated oils (PHOs), which are the primary dietary source of industrially-produced trans fatty acids, or trans fat, are not generally recognized as safe (GRAS) for any use in food based on current scientific evidence establishing the health risks associated with the consumption of trans fat, and therefore that PHOs are food additives,” says the formal announcement made by the agency. That’s news that has the dietetic community happy as heart-healthy clams. We reached out to several thought leaders from the dietetic community to hear their reactions to the trans fat ban news first. With raising the risk of heart disease, cancer and type 2 diabetes to its credit, it’s about time the FDA proposed purging partially hydrogenated oil from the food supply! But keep in mind that as manufacturers remove the fat from their cookies, frozen dinners, fried foods and the like, they may replace it with palm oil, butter and other sources of another risky ingredient: saturated fat. So, unless the science shifts again, and clears saturated fat from any ill effects, be sure to check nutrition labels, keeping these numbers in mind: have no more than 15 g saturated fat on a 1,500 calorie-per-day diet, 18 g on an 1,800 cal diet and so forth. — Janis Jibrin, RD, lead nutritionist for TheBestLife.com and author of the upcoming book The Pescetarian Diet. The public document released by the FDA explains in 26 thorough pages how it arrived at this decision, and backs it up with extensive scientific research. They point to the fact that the “elimination of PHOs from the food supply could prevent 10,000 to 20,000 coronary events and 3,000 to 7,000 coronary deaths annually.” Sounds worth it, right? The math certainly adds up when you consider financial costs. The FDA estimates an $8 billion implementation cost to remove PHOs from the food supply; something that could be spread out if they provide a multi-year compliance period. If you look at that $8 billion as investment rather than cost, the FDA estimates a return of $117 and $242 billion in overall health care savings. Such a trans fat ban already exists in New York City, California, Baltimore, and Montgomery County in Maryland where the results have been positive. 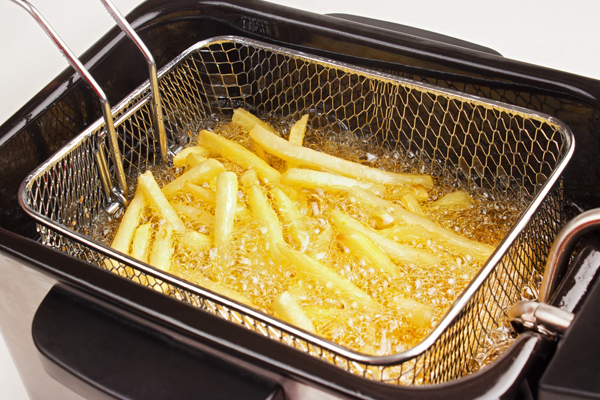 Trans Fat Foods – Do You Know Where to Find Them?